Find free classified ads for Car parts for sale, vehicle parts for sale, car accessories for sale for sale and to buy in London. Shown below are classifieds for Car parts for sale, vehicle parts for sale, car accessories for sale. Please use search box above to find other items in Car parts for sale, vehicle parts for sale, car accessories for sale London or look at the London for neighboring places in the locality. MG ZS Car audio radio update android GPS navigation camera Model Number: SUV-M9011A Compatible Vehicles:MG ZS 2016- With 9inch HD 16:9 Multi-touch screen, 1024*600 pixels, digital RGB Maintain all existing functionality, upgrade your car stereo system, access to internet! Support thousands of Android APP download, install what ever you like, play whatever you want to play! This system is free satellite navigation, GPS global positioning system, 2D-3D maps navigation, touch screen and voice guide. 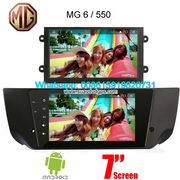 MG 6 MG6 MG550 Car radio GPS android Model Number: SUV-M8209A Compatible Vehicles: MG 6 MG6 MG550 With 7inch HD 16:9 Multi-touch screen, 1024*600 pixels, digital RGB Maintain all existing functionality, upgrade your car stereo system, access to internet! Support thousands of Android APP download, install what ever you like, play whatever you want to play! This system is free satellite navigation, GPS global positioning system, 2D-3D maps navigation, touch screen and voice guide. 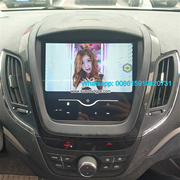 MG 5 Car stereo audio radio android GPS navigation camera Model Number: SUV-M7448A Compatible Vehicles:MG 5 With 8inch HD 16:9 Multi-touch screen, 1024*600 pixels, digital RGB Maintain all existing functionality, upgrade your car stereo system, access to internet! Support thousands of Android APP download, install what ever you like, play whatever you want to play! This system is free satellite navigation, GPS global positioning system, 2D-3D maps navigation, touch screen and voice guide. Xenons4u is known as an ideal solution provider for your vehicle's lightening including HID bulbs, Headlight parts, LED angle eyes, TMS controls unit module, ALC Cornering Unit for BMW, Lear, Volvo etc. We also offer a range of other accessories like ballast controls unit cable and HID bulb cable. We offer Mercedes Benz A0009053403 NOX sensor for faulty continental sensor. Xenons4u is known as an ideal solution provider for your vehicle's lightening including HID bulbs, Headlight parts, LED angle eyes, TMS controls unit module, ALC Cornering Unit for BMW, Lear, and Volvo etc. We also offer a range of other accessories like ballast controls unit cable and HID bulb cable. If you have did onboard computer scan and your car is showing these error codes P229F62 bank1 and or P2202 bank 2, it means that's NOX sensor has failed. Xenons4u takes pride to offer Mercedes Benz A0009053403NOX sensor which can be fitted to all Mercedes-Benz cars with EURO 6 for 4-Motion and BlueTec models and 5WK96681C Sensor fits many different Mercedes-Benz vehicles W463, C117, W156, W164, W166, W176, W205, W212, C218, W221, W222, W246, W447, and W906. The basic purpose of cubit insurance is to give you insurance which you could afford. It covers many different sectors and has great knowledge regarding taxi insurance, landlord insurance, business insurance, and faith insurance. These insurances help you to take protection except face any risk. Its saves you from many risks whether its business related or vehicle. Xenons4u is known is an ideal solution provider for your vehicle's lightening including HID bulbs, Headlight parts, LED angle eyes, TMS controls unit module, ALC Cornering Unit for BMW, Lear, Volvo etc. We also offer a range of other accessories like ballast controls unit cable and HID bulb cable. We offer Mercedes Benz A0009059603 5WK96681E NOX sensor for the faulty continental sensor. Xenons4u takes pride to offer BMW TMS Headlight Driver Module 7316147 to replace the old faulty module. BMW TMS 7316147 is responsible for controlling vertical aim, Angel Eyes (Halo Rings) and front turn signal (indicators). This TMS Driver Module is used on BMW F30, F31, and F34 GT Pre-Facelift with Xenon AHL Headlights. Xenons4u is known as an ideal solution provider for your vehicle's lightening including HID bulbs, Headlight parts, LED angel eyes, TMS controls unit module, ALC Cornering Unit for BMW, Lear, and Volvo etc. We also offer a range of other accessories like ballast controls unit cable and HID bulb cable. Xenons4u takes pride to offer Mercedes-Benz A0009057000 5WK96682A NOX sensor for faulty parts. NOX sensor also known as an oxygen sensor or lambda sensor and it can be fitted to all Mercedes-Benz cars with EURO 6 for 4-Motion and BlueTec models. So if you have done onboard computer scan and your car is showing this error code P229F62 bank 1 or P2202 bank 2, it means that's NOX sensor has failed and you need to change it. Xenons4u is known is an ideal solution provider for your vehicle's lightening including HID bulbs, Headlight parts, LED angel eyes, TMS controls unit module, ALC Cornering Unit for BMW, Lear, Volvo etc. We also offer a range of other accessories like ballast controls unit cable and HID bulb cable. We take pride to offer BMW 857647101 5WK96699B NOX sensor to replace faulty Continental part. Xenon4U is known as the best solution provider for your vehicle's lightening including HID bulbs, Headlight parts, LED angel eyes, TMS controls unit module for BMW, Lear and other accessories like ballast controls unit cable and HID bulb cable etc. If you have done onboard computer scan and your car is showing error code about the NOX sensor probe, it means that the sensor has failed. Xenons4u takes pride to offer Mitsubishi Electric W3T23371 Xenon Ballast Control Unit which is a direct replacement for the original. Xenon Light control unit is suitable for Mitsubishi, Honda, Mazda cars with D4S D4R 35W HID headlamps. This xenon ballast control unit is a direct replacement; no coding will be required once replaced. Xenons4u is known is an ideal solution provider for your vehicle's lightening including HID bulbs, Headlight parts, LED angel eyes, TMS controls unit module, ALC Cornering Unit for BMW, Lear, Volvo etc. We also offer a range of other accessories like ballast controls unit cable and HID bulb cable. We offer BMW 63117316145 TMS Headlight Driver Module for 1 Series with D1S Xenon light headlamps. Xenons4u is known is an ideal solution provider for your vehicle's lightening including HID bulbs, Headlight parts, LED angel eyes, TMS controls unit module, ALC Cornering Unit for BMW, Lear, Volvo etc. We also offer a range of other accessories like ballast controls unit cable and HID bulb cable. If you have done onboard computer scan and your car is showing these error codes P229F62 bank1 and or P2202 bank 2, it means that's NOX sensor has failed. If your Daytime Driving lights don't work anymore, you will need to replace this LED power module. Xenons4u offers Delphi 4G0907697G 4G0 907 697G LED Power Module Control Unit for Day Driving Lights on VW and SEAT vehicles. 4G0907697 G LTM-2TFL modules is a direct replacement and don’t work require any modifications. If your lights are blinking, shutting down without any reason or not turning on at all, it means that headlamp ballast has failed. Xenons4u takes pride to offer Mitsubishi Electric W003T22171 8K0941597F Xenon Ballast Control Unit which is a direct replacement for the original. This xenon ballast control unit is a direct replacement; no coding will be required once replaced. Xenons4u is known as best solution provider for your vehicle's lightening including HID bulbs, Headlight parts, LED angle eyes, TMS controls unit module for BMW and HLI Max Ana LED for Lear and Mercedes Benz. Some other accessories like ballast controls unit cable and HID bulb cable are also available for you! Xenons4u takes pride to offers Mercedes Benz A1769001204 HLI Max Ana LED Control Unit Module for Mercedes Benz and Lear. Xenons4u takes pride to offer Lear 5352178A1 09 TMS Headlight Driver Module which responsible for controlling xenon lights. This Headlight Driver Module is also compatible with various LEAR part no. TMS Headlight Driver Module comes up with 1 year of warranty and Xenons4u guarantees it will resolve all your Headlight issues in a very cost-effective way. 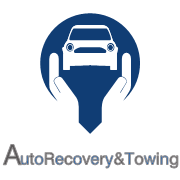 Address: 14 Peacock Avenue Winsford, Cheshire CW7 1TB United Kingdom Phone: 07484 665126 Mail: info@autorecoveryandtowing.com Website: https://www.autorecoveryandtowing.com/locations/vehicle-accident-recovery-warrington. Xenons4u takes pride to offer 5DV009610-00 Xenon Light ballast which is a direct replacement for original Hella. Xenon control unit is found on many different cars such as BMW, Skoda, Mercedes Benz A0008212561 , SAAB and many others but all cars must be equipped with D1S 35W Xenon HID Headlamps. This xenon ballast control unit is a direct replacement, no coding will be required once replaced. Xenons4u takes pride to offer top-quality, long-lasting, and highly durable D4S HID Xenon Bulbs. These Xenon HID Bulbs D4S, for instance, are designed to stand the test of time and have an average lifespan of 1900 hours. They also come in an array of color temperatures including 4300K (OEM White), 6000K (Cool White), 8000K (Aqua Blue), and 10, 000K (Sapphire Blue), and have a light rating of 2800 lumens to ensure exceptional visibility whenever you take to the road and whatever the conditions Our D4S headlights bulbs are a lighting solutions for your safety on roads. Xenons4u is known as best solution provider for your vehicle's lightening including HID bulbs, Headlight parts, LED angle eyes, TMS controls unit module for BMW, Lear and other accessories like ballast controls unit cable and HID bulb cable etc. Xenons4u is Offering best LED number plate lights for BMW E71 F16 X6 E70 F15 X5 E84 X1 F25 & X3. Xenons4u is known as best solution provider for your vehicle's lightening including HID bulbs, Headlight parts, LED angle eyes, TMS controls unit module for BMW, Lear and other accessories like ballast, Number plates lights for Volkswagen and HID bulb cable etc. Xenons4u offers number plate lights. Xenons4u is known as best solution provider for your vehicle's lightening including HID bulbs, Headlight parts, LED angle eyes, TMS controls unit module for BMW, Lear and other accessories like ballast controls unit cable and HID bulb cable etc. Xenons4u takes pride to give your car a brand new bright look with Volvo XC60 led number plate lights. Xenons4u provides BMW LED Number Plate Lights. Our light units are compatible with factory fitted halogen or LED number plate lights, it has two different connectors. These lights are perfect for BMW F07 GT E82 E88 & F22. LED Number Plate Lights replace faulty light units or upgrade to super bright white color. Address: 14 Peacock Avenue Winsford, Cheshire CW7 1TB United Kingdom Phone: 07484 665126 Mail: wayne@autorecoveryandtowing.com Website: www.autorecoveryandtowing.com Auto Recovery and Towing provide Breakdown and Accident recovery throughout Winsford, Cheshire and surrounding areas. United Kingdom free classified ads for Car parts for sale, vehicle parts for sale, car accessories for sale, London, Car parts for sale, vehicle parts for sale, car accessories for sale free ads London, Car parts for sale, vehicle parts for sale, car accessories for sale for sale London, Car parts for sale, vehicle parts for sale, car accessories for sale to buy in London. This page is a listing of classified ads for Car parts for sale, vehicle parts for sale, car accessories for sale category in London. This section includes classifieds for sale and to buy in London. Car parts for sale, vehicle parts for sale, car accessories for sale London ads London, Car parts for sale, vehicle parts for sale, car accessories for sale classifieds London, Car parts for sale, vehicle parts for sale, car accessories for sale free ads London, ads for sale London, ads to buy London, FREEADS in UK. Find here ads for sale, to buy and rent in London. Goods for sale in London, vehicles for sale in London, London real estate for sale, London property for sale, property for rent in London, business ads in London, London business classifieds, services in London, London services ads, jobs in London, pets for sale in London, London dating, London cars for sale.